Song Circle is usually every 3rd Saturday. 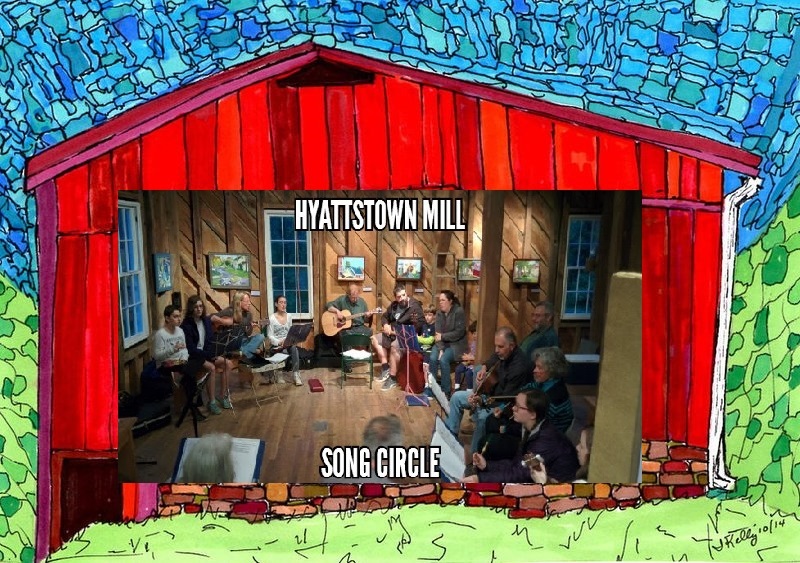 The APRIL Song Circle is on the 20th at the Hyattstown Mill. Song Circle at 7:30 pm. What Songs Do You Sing at the Song Circle? At the Song Circle, we usually go around the circle and each person picks the next song. It doesn’t absolutely have to be from the book, but it makes it a lot easier for everyone to join in (which is what we’re all about!). Take a look at the Song Circle Table of Contents. What Tunes Do you Play at the Tune Circle? Learn more at the Tune Circle Page.